A line of robust vacuum pump exhaust traps that are ideal for use with dry scroll vacuum pumps to help keep the recirculation systems clean as their tip seals wear is being introduced by MV Products of North Billerica, MA. 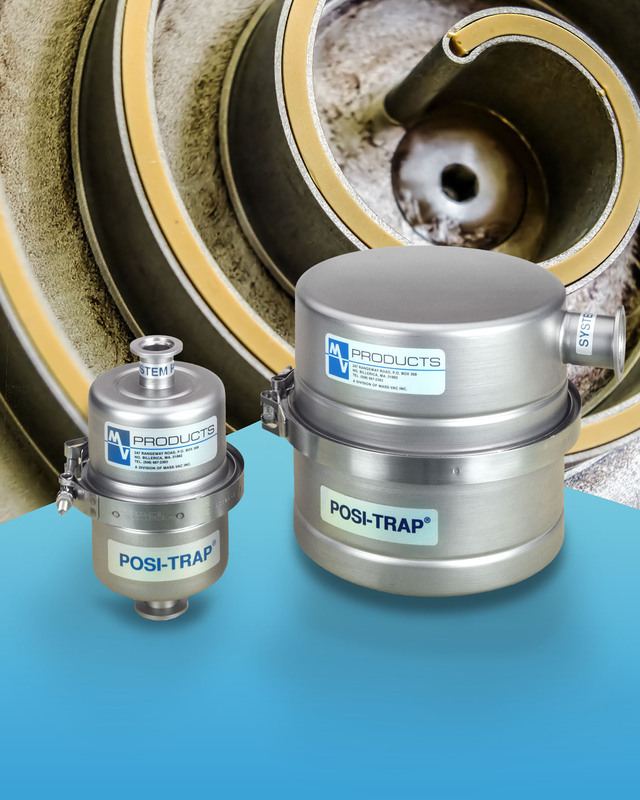 MV PosiTrap® Vacuum Pump Exhaust Traps are made from 304 SS and feature 0.02 micron filter media to trap carbon particulates and prevent degrading scroll pump tip seals from contaminating their recirculation systems. These traps are ideally suited for use with oil-free Agilent, Anest Iwata, and Edwards scroll pumps and cryogen-free dilution refrigerators. Available for OEMs and end-users, MV PosiTrap® Vacuum Pump Exhaust Traps are offered in 4” and 8” dia. sizes for pumps up to 25 and 50 CFM. Supplied in straight-through or right angle designs with termination options that include hose or 25-, 40- or 50 mm KF flanges, these 304 SS robust dry pump exhaust traps can be modified to OEM requirements. MV PosiTrap® Vacuum Pump Exhaust Traps are priced according to size and quantity. Literature and price quotations are available upon request.